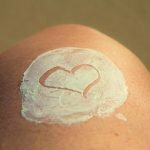 As we’re getting a greater understanding about the harmful effects of the sun on both the risk of cancer and it’s aging abilities, there really is little excuse to not protect ourselves from its damaging effects. Particularly as there are so many fantastic products out there that will cover us for every occasion. So we’ve tried and tested a number of beauty and skincare products out there and we’re sharing our favourites with you. Our face gets a fair amount of exposure to the sun, pollution and many other factors. It takes a pretty bad rap. More and more of our favourite beauty products, including foundation, offer some SPF coverage so we’ve no excuse not to protect our most prominent asset. Loved by some of our most favourite celebrities, including Victoria Beckham, Lancer Sheer Fluid is a great allrounder. Not only does it have an SPF of 30, and offer UVA and UVB protection, but it contains anti oxidant and antiaging properties so it helps repair our skin whilst it protects. It’s lightweight, transparent and hydrating without being greasy. When it comes to summer, less product is more and this is a true beauty hero. Even our moisturisers are offering an SPF alternative. Clarins Multi-Active Jour Day Cream (SPF 20) will hydrate and lock in moisture, helps combat first signs of aging and offers that essential SPF. This is our favourite moisturiser for all year round hydration and coverage. Charlotte Tilbury Magic Foundation is truly magical; a foundation for the seasons. It has a luxurious texture that offers lasting hydration, offers full coverage which helps conceal imperfections and evens out skin tone- it’s a moisturiser and foundation all in one. In addition, it contains antioxidants that help combat damage whilst simultaneously protects the skin from further damage and offers a broad spectrum SPF 15. For most, this will offer that essential day-to-day protection in the UK. Looking for a bit of coverage but something a little bit lighter than a foundation? bareMinerals Complexion Rescue will tick the box. It’s a tinted moisturiser with a BB and CC cream effect so offers lightweight coverage that evens out your skin tone with an SPF 30 to help protect it from the sun. It also has those super antioxidants our skin love to help repair and protect it from environmental factors. Don’t forget about lip care- although it has a relatively low SPF of 4, Dr Hauschka’s lip care stick is natural, nourishing and hydrating- keep your lips hydrated and they’ll take care of you. When it comes to everyday, we love Clarins Sun Care Cream. It’s the perfect sunscreen, moisturiser balance. It has the consistency, texture and colour of a sun cream but is actually lightweight like a moisturiser and offers lasting hydration. It’s not sticky or streaky and I find it best to apply when you hop out the shower and you can dress immediately- no fuss. And it gives you that much needed sun coverage. It is said to be water, heat, sand and perspiration resistant but will still require a top up if you’re spending long periods of time in the sun. Available in SPF 20 and 30. There is finally a once a day sunscreen that actually works. P20 Once-a-Day offers the highest UVA protection available (5 stars) and, 15 minutes after application, will protect you for up to 10 hours, even after frequent swimming. This is a sun protection you can put your confidence in. They’ve also just released their continuous spray which is super at getting at those hard to reach places (available in SPF 20 and 30). For those with children and fairer skin, they have pump sprays available in factor 50 too. It’s completely transparent, lightweight and has a silky texture, rather than greasy, that hydrates the skin making it look really healthy.